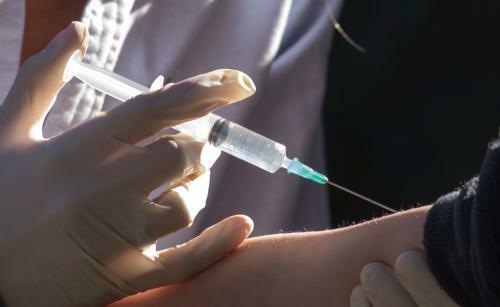 The Americas have eliminated measles, a viral disease that can cause severe health problems, including pneumonia, blindness, brain swelling and even death, announced the World Health Organization (WHO). The region is the first in the world to eliminate the disease. Measles mostly affects children and is one of the leading causes of death among them worldwide. It is transmitted by airborne droplets or via direct contact with secretions from the nose, mouth, and throat of infected individuals. Before mass vaccination was initiated in 1980, measles caused nearly 2.6 million annual deaths worldwide. In the Americas, 101,800 deaths were attributable to measles between 1971 and 1979. “It is the result of a commitment made more than two decades ago, in 1994, when the countries of the Americas pledged to end measles circulation by the turn of the 21st century,” says PAHO/WHO Director Carissa Etienne. Globally, over 20 million people contract measles every year. The disease caused 114,900 deaths globally in 2014. Africa and Asia account for over a half of global deaths due to measles. India is among the countries with the highest measles burden. In 2012, India reported 18,668 cases of measles, the second highest number in sub-Saharan Africa and the South East Asian region, according to WHO statistics. India accounted for 47 per cent of estimated measles mortality in 2010, but aggressive vaccination has improved the situation in the country. The government has ensured double vaccination—every child receives the two doses of the vaccine. Data from the health ministry claims over 90 per cent vaccination coverage in 14 states of the country during 2010-13 and 92 per cent coverage in the phase three of vaccination in five states. Anti-vaccine poster boy: Is Andrew Wakefield the most hated man in modern medicine?